Nashville, TN (September 28, 2010) -- Brother/sister duo, THE ROYS, have signed an exclusive agreement with "impeccably tasteful" bookers NEW FRONTIER TOURING, whose roster includes: The Avett Brothers, The Grascals, Riders In The Sky and Larry Carlton. "We are excited to be working with this incredibly talented duo," says NFT's President, Paul R. Lohr. "Great sibling harmony, hot picking and good-hearted folks. Right up our alley! 2011 is going to be a tremendous year for us all." THE ROYS' roots-based music is a mixture of Country and Bluegrass, and the duo crosses genres with an ease that is effortless and undeniable. "It's just who we are musically," says Elaine Roy. "It's not a conscious thing, it's just who we are." Lee and Elaine Roy hail from Fitchburg, Massachusetts and carry on the strong New England Roots music tradition. They have performed across the U.S. and Canada sharing the bill with The Oak Ridge Boys, George Jones, Collin Raye and Chris Young. With two projects in the works, THE ROYS are kicking their career into high gear. They recently made their national television debut on the annual Jerry Lewis Labor Day Muscular Dystrophy Association telethon, and in August, they traveled to Bogota, Columbia, South America as part of an outreach mission sponsored by Compassion International, an organization for which they are now spokesmen. THE ROYS are the reigning Inspirational Country Music Duo of the Year, and have been nominated for that honor again this year. Additionally, their current Country radio single "Beautiful," is #32 this week on the Music Row chart, and is nominated for 2010 Christian Country Song of the Year. For more info on New Frontier Touring, www.newfrontiertouring.com. 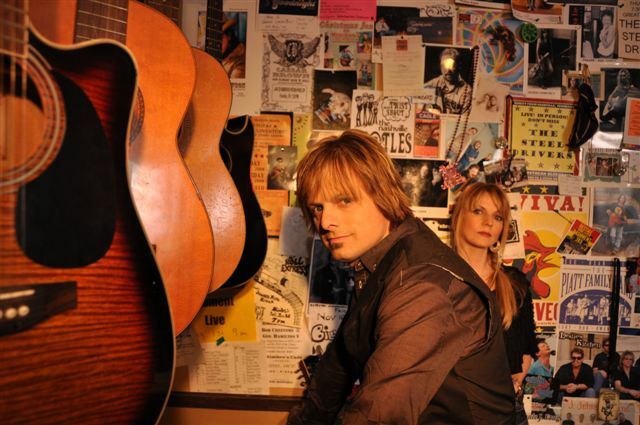 Catch up with more news on THE ROYS at www.theroysonline.com.